Featured Olympians and elite athletes (from left to right) Anita Alvarez, Jason Lezak, Mariya Koroleva, and Raúl. 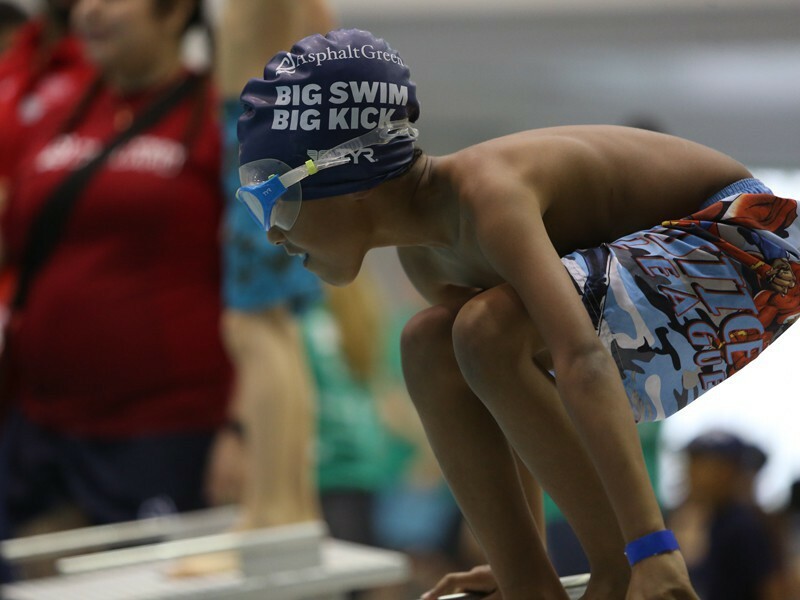 A celebration of sports was in full swing during Asphalt Green’s first-ever Big Swim Big Kick on May 7. 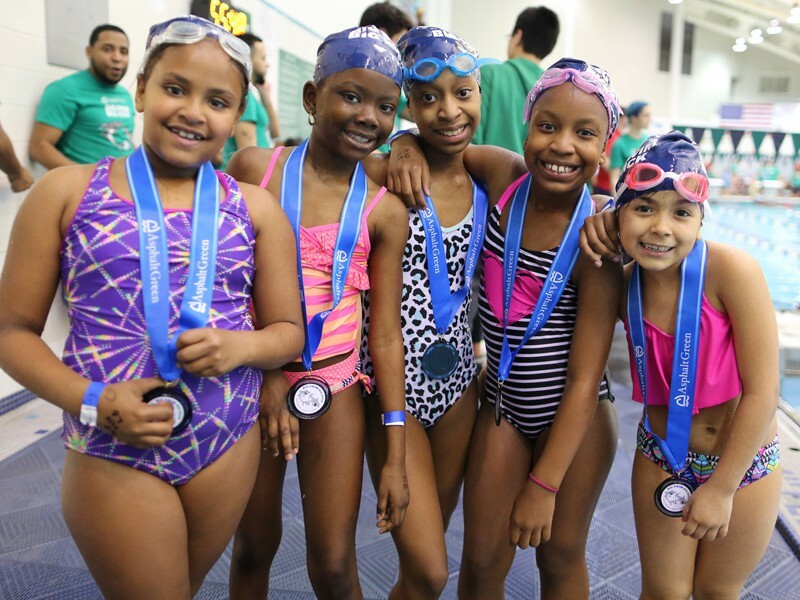 The event, featuring a free swim meet, soccer activities, and a fundraising benefit, was a huge success, raising more than $875,000 to support our free community programs and scholarships. 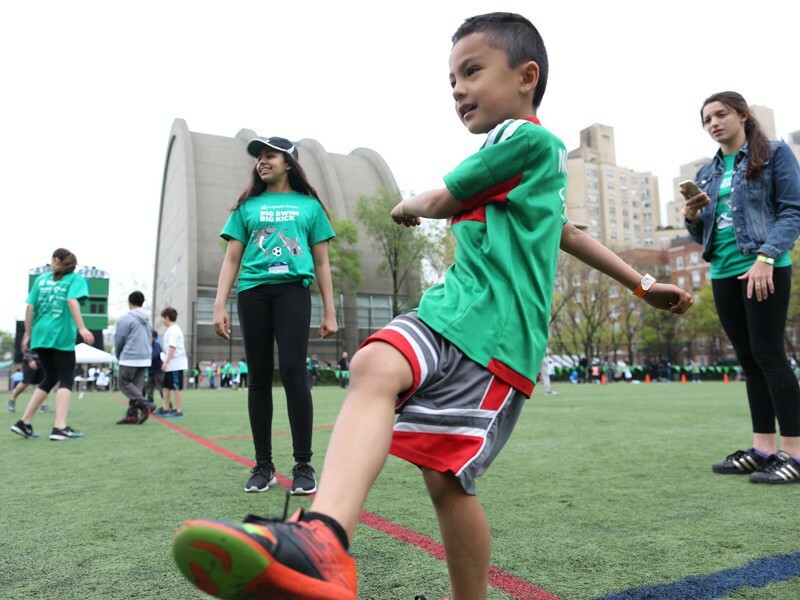 Rowdy Gaines, three-time Olympic gold medalist and NBC sports commentator, and Jennifer Lahmers, Fox 5 reporter, hosted the event, welcoming kids ages 6 to 10 from all over New York City to Asphalt Green. Children who participate in our free community programs led the way in the swim meet and delivered the inaugural kick on our field. 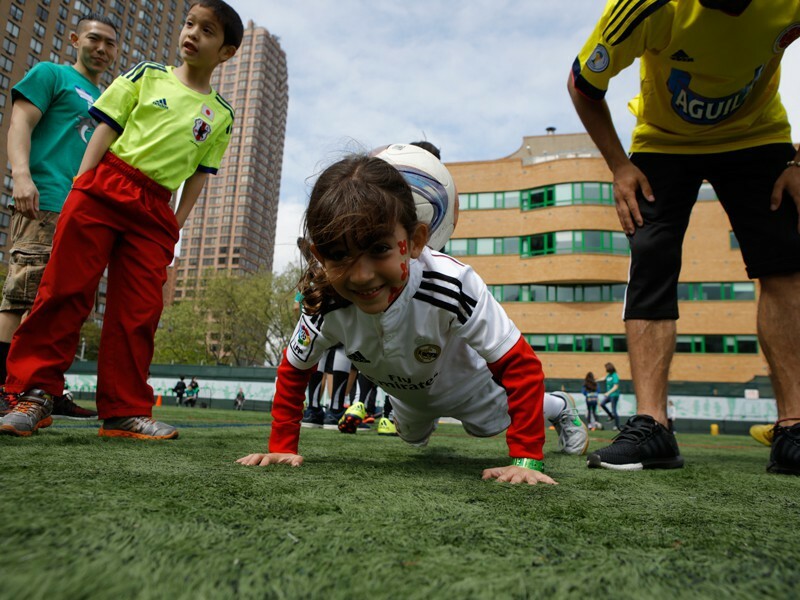 This marked the first year soccer was included, and over 220 kids showed off their skills. 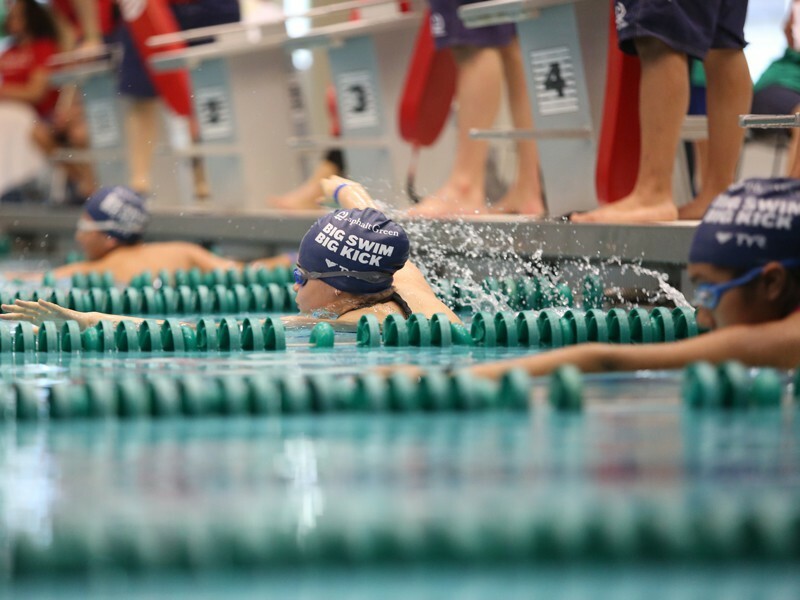 In our AquaCenter, more than 400 young athletes raced to the finish in a 25-yard swim meet. It was a star-studded day, with 18 Olympians and elite athletes in attendance including second-leading all-time goal scorer for Real Madrid Raúl González Blanco and swimmer Jason Lezak, most known for his incredible come-from-behind-victory as the anchor in the 4x100-meter freestyle relay at the 2008 Beijing Olympics. Divers and synchronized swimmers performed before the meet, drawing oohs and aahs from the crowd, and samba dancers and soccer tricksters put on a show to kick off the event on our athletic field. 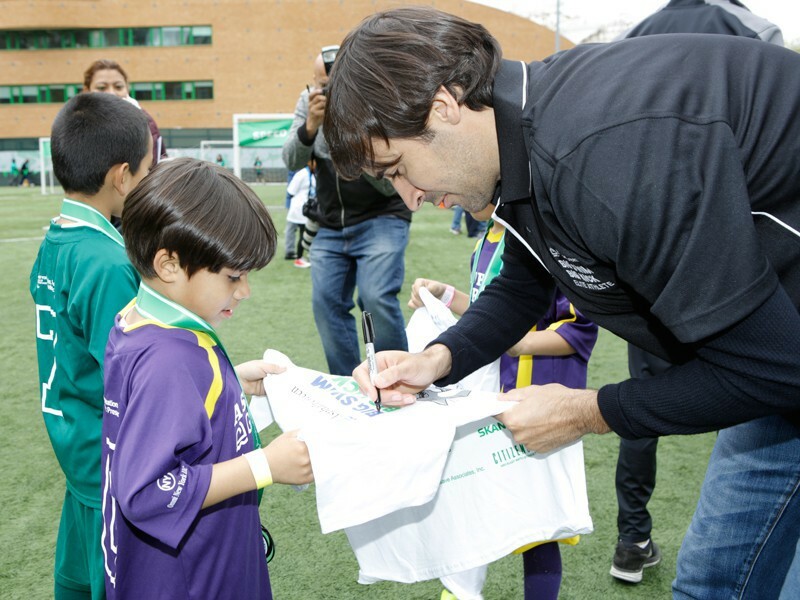 Raúl joined kids on the field and shared soccer tips, and Jason provided a few lucky swimmers a lesson of a lifetime. 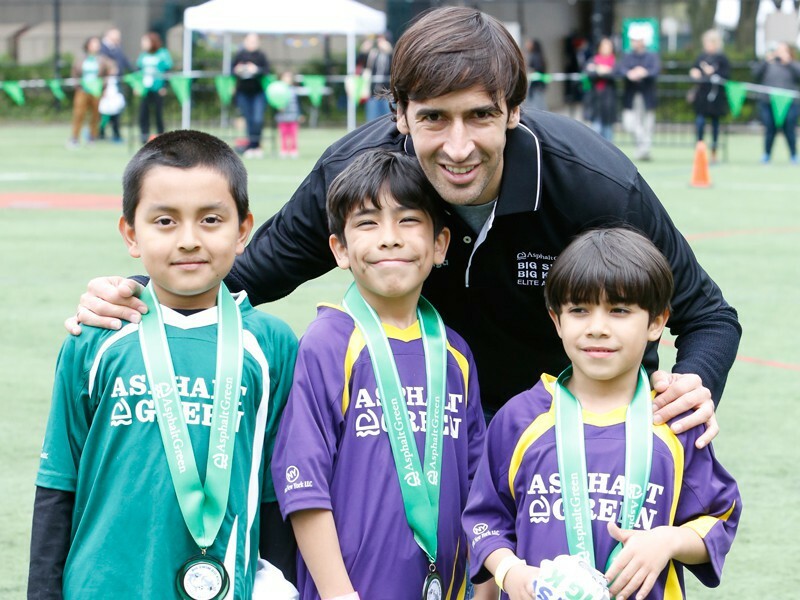 The fun continued at our fundraising benefit, where we honored Kirsten Feldman, one of Asphalt Green’s biggest advocates, and attendees heard speeches from Raúl and Jason. Both shared their experiences competing as elite athletes and the positive impact sports have on children. A huge thank you goes to all our volunteers and sponsors. The event was successful, in large part, because of your support. Scroll through the pictures above to relive the swim and soccer action, and visit our Facebook, Twitter, or Instagram pages to see more photos from the day and share your own. See you next year!